Fencing wire is mainly used to support mesh fences as bottom wire, guiding wire or smooth wire. It is a kind of binding wire or tie wire, usually in the form of spool wire or coiled wires. We supply electro galvanized fencing wire or annealed fencing wire for our customers. Materials: Carbon steel wire, iron wire, etc. Finishes of fencing wire are electro galvanizing or hot-dipped zinc coating to give the wire a good anti-corrosion resistance. Plastic coating is available for fencing wires. Wire diameter can be made according to your requirement. Packing: In coils. With waterproof paper then packed in pallets. 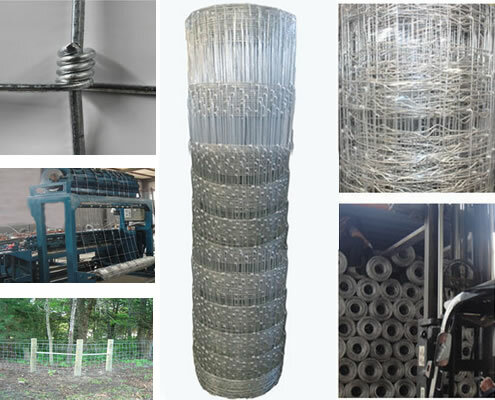 Galvanized twisted cattle farm fence wire, is one type of fence. It is divided into American standard and European standard series is widely used in the Americans and Europe to protect ecological balance, preventing landsides, livestock fence, especially in the rainy mountains to block the sediment outflow with a layer of sunscreen 120 Pinckney long woven sewed outside of the mesh development rapidly in recent years.